Limiting plant loss from deer is a challenging proposition. Once upon a time, bags of human hair hung from trees drove them off. This was in a bygone era when deer feared humans. 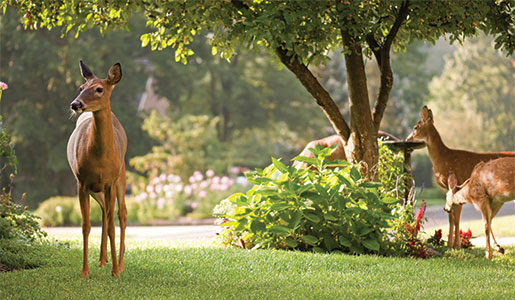 These days, fragrant soaps hung in mesh bags can help ward off the deer. Commercial repellents also exist, but be sure to research which one is best for you. Some repellents can damage food plants, and most will need to be re-applied after heavy watering or heavy rain.